A part of the GM company, Pontiac strives to design cars that provide extraordinary rides. Known for their sporty looks and innovative technology, Pontiac drivers can expect their vehicle to last years to come, if properly maintained. Regardless of the age of your car, our expert mechanics will take care of it with the attention and detail it warrants. Bring your vehicle to Ron’s Auto and RV and have our specially trained Pontiac repair technicians maintain it and keep it running its best! Ron’s Auto and RV has been providing top quality Pontiac services and repairs in Vancouver and the surrounding Battle Ground, Vancouver and Wood Village communities for more than 30 years. 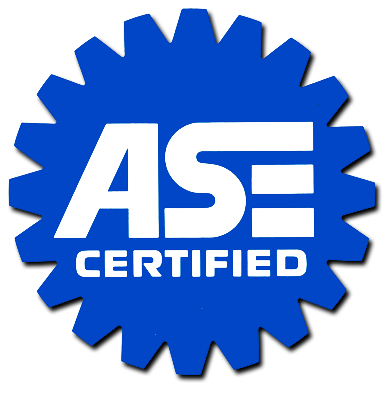 Our ASE Certified Technicians get brand specific training to perform complete Pontiac repair and maintenance services to keep your car on the road. We have Pontiac specific parts, diagnostic tools and equipment, making us your friendly dealership alternative! We are so confident in our transmission service that all of our Pontiac repair services are backed by a 2 year/24,000 mile warranty, giving you the satisfaction of knowing your car is in expert hands. We invite you to stop by our shop today to learn more about how we can keep your Pontiac running at peak performance, year in and year out! At Ron’s Auto and RV, our customer’s satisfaction always comes first! 4L60E Transmissions – With these transmissions, there are several points of failure. At Ron’s Auto and RV, we do all the upgrades available. Some of these upgrades are the sun shell splines, as these can strip off, or the hub containing the splines break off causing you to loose 2nd, 4th, and reverse gears. All Pontiac 4L60E Transmissions at Ron’s Auto and RV get a new hardened sun shell with every rebuild. Another common problem is the 3/4 clutches and 2/4 bands get burned up. At Ron’s Auto and RV we use high energy lined clutches and bands to ensure a long life from these components. These are just a few of the many upgrades we do on every Pontiac transmission that comes through our shop. At Ron’s Auto and RV we want to make sure that our customers are able to enjoy their vehicles for many more miles to come.